Bach to Rock’s nontraditional approach to music education gives kids a musical benefit no one else can — a rock-star experience that gives them a leg up and helps them grow into confident adults. 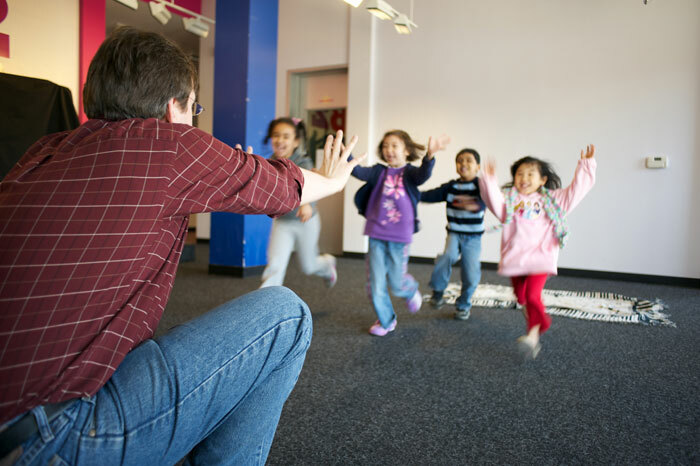 We offer something different than traditional music lessons and other music schools — radically different. We empower children to discover the kind of music they love and then play that music with other students in bands that perform in public spaces. It’s an entirely unique approach to music education that’s succeeding beautifully at all of Bach to Rock’s bricks-and-mortar schools. Thousands of children fill the rooms of those schools each week, and all of them are stars in their own individual ways. At Bach to Rock, we give them the thrill of feeling like a star from the get-go. A typical Bach to Rock student is an old hand at taking center stage — and an instant star to their family members, friends, classmates and wider communities. They are making waves and going places. It doesn’t mean all Bach to Rock students play like prodigies instantly, although it’s exciting and gratifying to see how quickly they progress. As a matter of course, we see our students achieving their goals and feeling as if they can overcome anything that’s been holding them back. Bach to Rock’s public performances are part of the magic. Before you know it, your child is playing lead guitar in a punk rock-inspired band that’s booked a gig at the Hard Rock Cafe — or singing in an all-girl band that’s slated for a series of summer performances at the local farmers market. Melinda Mansfield is a singer and music therapist who’s sung with Bobby McFerrin and trained with the San Francisco Opera. Yet, when she decided her own preschool-aged children — twins Josie and Will — needed exposure to music, she tried Bach to Rock on the recommendation of a friend. Both are soaring now. Josie plays drums and sings, and Will is a guitarist in a band. Melinda couldn’t be prouder, and she says both children have come a long way in overcoming the obstacles caused by their premature births. “Josie has developed an amazing ear for rhythms,” Melinda says. “They are now automatic for her. I am always amazed with her drumming and with all the skills she’s learning and applying. She is so tiny, so she actually has to step up a step to play the bass drum. She has to get off her feet to do it, but she’s on time and continuous. “Will started acoustic guitar in first grade, and then we switched him to electric guitar,” Melinda adds. “Because of his dyslexia he had a really hard time in second grade. I don’t know what we would have done if it weren’t for Bach to Rock. He felt smart because he could play the guitar and make up music and songs. 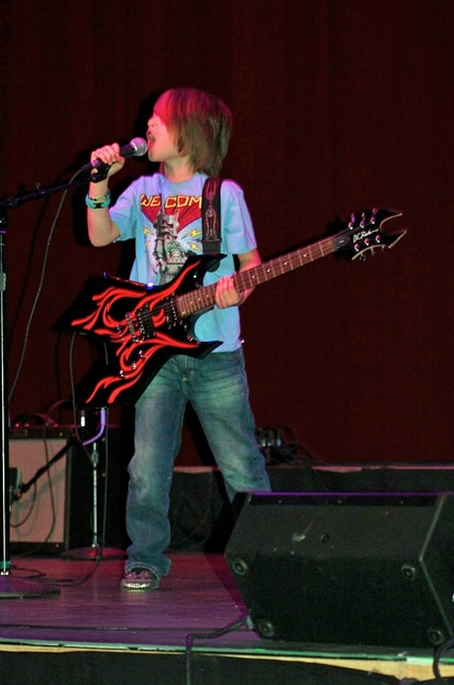 At nine, Will is a different kid than he was when he started at Bach to Rock. His band, Legos, has already been on a national stage and played at the Fillmore. “The confidence he has in himself is just phenomenal,” Melinda says.